At last: the long-awaited CARA 8+2 response blog post! Several weeks ago now, the Chicago Area Runners Association announced a new program designed to provide CARA members with guaranteed entries into the oh-so prestigious Bank of America Chicago Marathon. At first blush (and by “first blush,” I mean “the general idea of CARA members receiving guaranteed access to the marathon.”), this sounded like a pretty sweet deal — after all, CARA formed as a reaction to decisions made by the Chicago Marathon (well before it was owned by the Bank of America) that weren’t in the best interest of runners: namely, a too-high registration fee and a too-late start time. Obviously, the two have since reconciled their differences, but by offering guaranteed race entries to the marathon, it would seem as if the marathon and CARA had, once and forever, put their past differences behind them and moved forward as more of a team. Ah, but make no mistake: the Bank of America Chicago Marathon is owned by the Bank of America, and if there is anything at which banks excel, it’s fine print. Obviously the bank wouldn’t just give away thousands and thousands of entries to the race. Unsurprisingly, there are a host of qualifications you must meet to even be eligible to receive a guaranteed entry to the Chicago Marathon — the 2016 Chicago Marathon, mind you, not this year’s race. That’s a lotta fine print. To me, this begged the question: does anyone fit these requirements? Or, more importantly, does anyone who fits these requirements already not have access to a guaranteed entry through time qualification? For those of you unfamiliar with the CARA Circuit, it draws fast runners. People come to these races to race. I, for one, know I’ll be pretty lucky to finish in the top 15 of my age group (thus earning myself points in the circuit competition) at a CARA Circuit race, never mind the top five. Now, this admittedly is not *entirely* fair, because the 8+2 program didn’t exist last year, and the impact the program has on Circuit participation has yet to be seen. However, based on last year’s results, 55 individuals placed fifth or higher at eight or more races on the Circuit. Of those 55, 36 did not already qualify for the Chicago Marathon based on a marathon time within the past two years. Of those 36 non-time qualifiers, a whopping 33 (92%) are over the age of 50. While the fact that the vast majority of non-time qualifiers are over 50 didn’t necessarily surprise me, it did surprise me that this program caters to masters runners so significantly. I imagined the program would help fast runners more than anyone, and while it does, the primary benefactors are those over 50. Nine. This program helps nine people. Now, this admittedly is not a perfect and complete picture. If we assume everyone from all the other categories (participation, long distance, etc.) 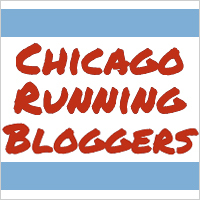 takes advantage of this program, we’re looking at 49 guaranteed entries to the Chicago Marathon. However, I think it’s a *bit* of a stretch to make that assumption. “Participant” runners, for example, need to complete 10 races on the Circuit, and one could easily accomplish that without ever needing to run more than a 10K. Is someone who chooses to always run shorter races likely to want a Chicago Marathon entry? I don’t know for sure, of course, but my gut says no. Another thing I think worth bringing up is the location of Circuit races. CARA schedules its Circuit races so that it hits up multiple locations in Chicagoland, which in and of itself is not a bad thing — unless you’re like me: a city-dweller with no car. Five races on this year’s Circuit take place within the city of Chicago, and two more are easily accessible by the CTA (though is anything really “easily accessible by the CTA” at 5:30 a.m. on a Sunday? [No. No it is not.]). That means if you’re in my situation, you only even have the opportunity to run seven races, which isn’t enough to qualify based on your killer age group performance or based on participation. I like the concept of this program, and I’m really curious to see how everything shakes out this year. But based on everything I’m seeing thus far, it seems like this is a pretty lousy way to try to get into the marathon. It doesn’t hurt anyone, of course, but it doesn’t seem to really benefit many people, either, and that makes me wonder why CARA and the marathon would even bother putting it together in the first place. But what do I know? Maybe this will be a game changer. Only time will tell, I suppose. Yikes, sounds like some pretty FINE fine print to have to follow….I’ve ran the race once, and it was enough for me to say I’ve finished Chicago. I’d rather spectate that race. I’ve run it a couple of times, and I do enjoy the race — mostly for the convenience, since I live in Chicago and all! I’ve spectated it before though, too, and that was an awesome experience as well. I’ve done both as well! Awesome! Ummm what?! Seriously, all I could think when I was reading the “fine print” is wtf? Not only are some of those requirements discouraging (placing in your age group? we’re not all magical athletes and many just run for fun or exercise), but they’re downright ridiculous and slightly stress-inducing for those participating. Maybe I’m just not familiar enough with CARA but it simply seems like they’re trying to make this more of a competition in which the winners go to the marathon. Ugh I’m not sure why I’m so annoyed with this but I am! It just feels…wrong…and it’s upsetting me for reasons I can’t quite figure out yet haha. I’m sure many people will provide the same feedback as you. I guess we can only hope that this is just a stepping stone towards a better, more refined (and attainable) approach into guaranteed entry. Ha, yeah, the requirements, at least for those hoping to qualify by AG placement, are pretty tough. I think probably the ultimate goal of this, at least from CARA’s end, would be to increase participation in its Circuit races, and of course I understand why they’d want to do that, since the Circuit is a big deal for them. But if you’re not fast (like me), then this doesn’t really do much to encourage me to run the Circuit. I’d think if it was a little more NYRR-esque, with participation being the only requirement, even more people would want to come out and run Circuit races. But, of course, there’s also the aspect of the Chicago Marathon having a smaller field than NYC, so maybe they don’t want to offer that many guaranteed entries? Who knows. I’m sure the program will evolve as time goes on. I am impressed with your research! And surprised that CARA even developed a program like this – do you know one person who did NOT get in to Chicago? I don’t. I wonder if they plan on making it more competitive to get in to, this year (through lottery), and CARA is just hoping for more members and volunteers because of that. What a confusing, confusing, program. The placement thing just doesn’t make sense. Ha, thanks! It ended up being a bit more of a time-consuming undertaking than I originally anticipated, but it was interesting to crunch all the numbers (and kind of fun to do!). My CARA friends and I actually discussed that a lot last year — that we didn’t know anyone who didn’t get into Chicago. Then again, we also talked about these things on our long runs training for Chicago, so obviously all of us had gotten into the race one way or another. Perhaps not the best sample for that kind of research, haha! Nice research!! I love that you came up with an exact number (9) based on last year’s statistics. I’d really like to know if CARA & Bank of America sat down and did these calculations, too, to figure out the ROI on this program. I mean, it’s really not that much more work for CARA so they probably don’t care, but it’s still very interesting. Also, I REALLY wish they’d clarify the participation and long distance award qualifications. Thanks 🙂 Based on all the caveats, I have a hard time thinking that they just tossed this together without giving it a lot of thought, but I do find the whole thing to be a little odd. I mean, never does it say that they’re giving away FREE entries. It’s just guaranteed entries. The marathon still gets everyone’s registration fees, and they don’t charge to enter the lottery. I don’t see what they have to lose by offering more guaranteed entries. If anything, that just makes the lottery more competitive, which I would think adds a bit more allure and prestige to the event. Great research! After the announcement of this program, I looked at the rules and thought they were still pretty muddy. I got the whole top 5 at 8 races thing but the participation and long distance and top club members thing was not explained well. Seeing the numbers laid out like that makes the program seem pretty worthless. I think they should change the guaranteed entry based on time to include lower standards for runners over 50 anyways. So if they did that it could change the number affected by the 8+2 to basically no one. I understand the limitations of CARA but I still wish they could switch the system to participation more like New York Marathon. You could encourage a lot more people to run a bunch of events to qualify for the marathon. The Bank of America would still be getting the entry fees no matter who gets in so maybe they don’t care as much about the program. and this seems to indicate that the 10+2 participation program and the 5+2 long distance program wouldn’t require top finishes. Obviously they need a consistent set of rules! Yeah, for something that appears to be extremely calculated and thought out, you’d think they’d be a little clearer on all the non-AG options. That link is actually really interesting: I hadn’t seen that page in that state before, and now it seems to look like they took away even more options. Interesting. This whole thing just seems like way, way more trouble and effort than it’s worth.